We've teamed up with the good folk from Bluestone Lane, Nick and Alex, an Australian couple hitting the mark in the US with their cafes that offer an authentic Australian coffee experience. Their focus is on more than just great quality coffee and healthy fare, it's about offering a personable and engaging service and laid back coastal decor; an environment where customers can escape. 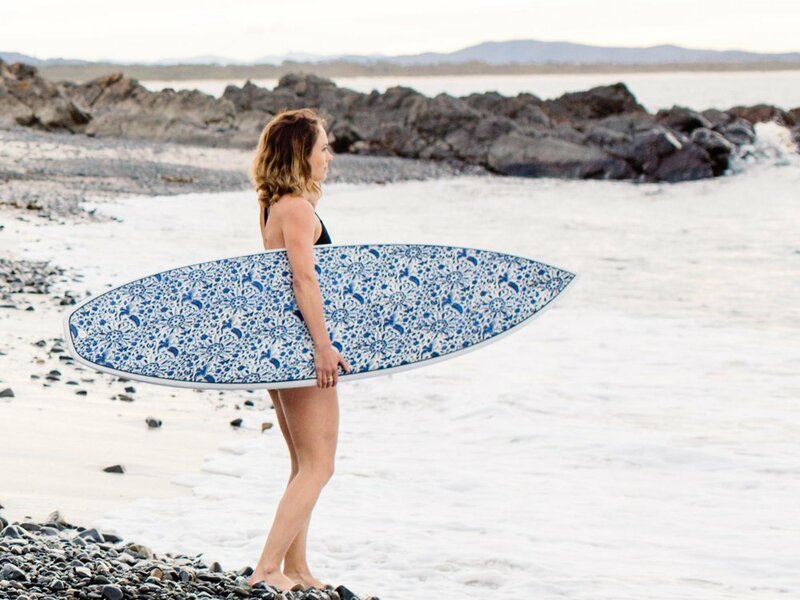 They've recently opened a concept store in Montauk, The Bluestone Lane Beach House, and excitedly took on our Nusa Indah Surfboards as part of a range of quality crafted Australian goods. The sourced and exclusive artist designs selected for Bluestone Lane were inspired by the palette of the Atlantic Ocean surrounding Montauk, and also pay homage to the sunsets of our homeland, on the East Coast of Australia. 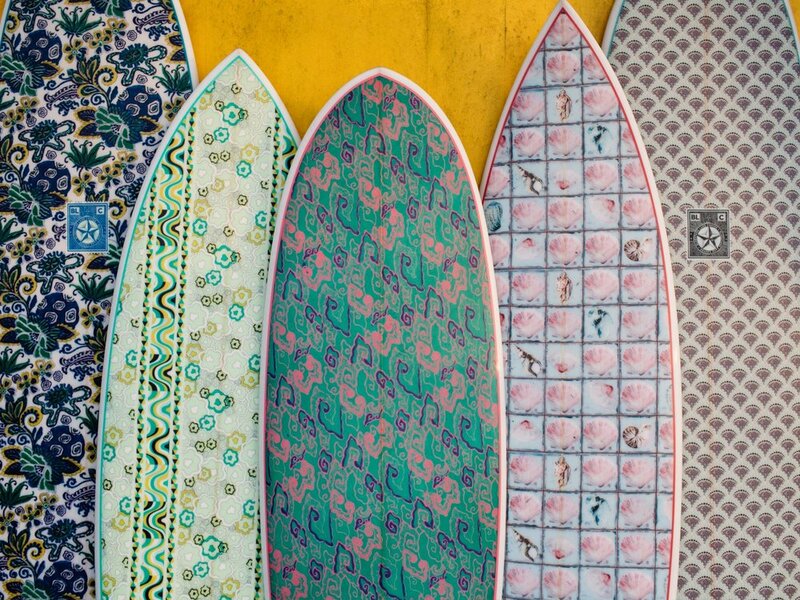 A team of Australian craftsmen, with over 30 years shaping experience, created a range of shapes to maximise wave potential in the fun Summer surf in the Hamptons. 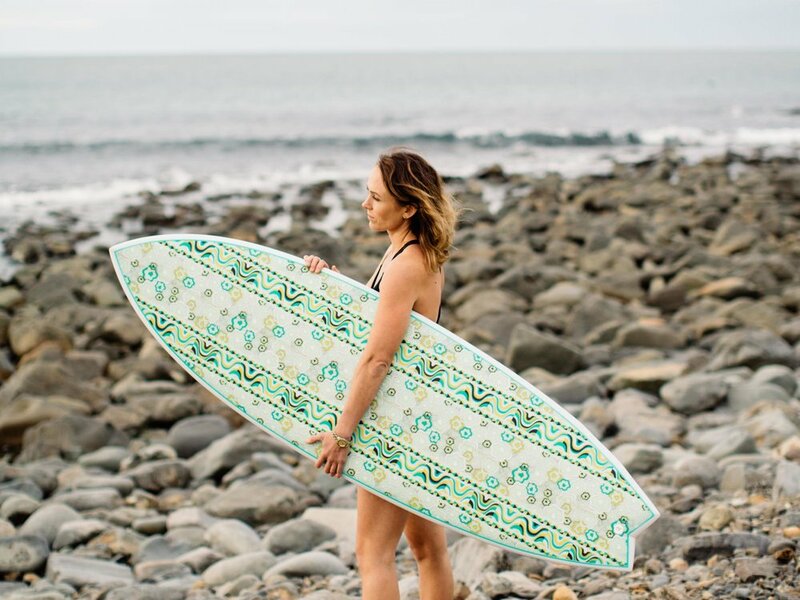 The picturesque surfboards are designed to enhance your walls as easily as they define your performance in the water. Meet Me in Montauk, photographed by Brett Rutkowski, reflects the journey of the boards, from our everyday family life in home-town Forster- with it's laid back rugged coastal landscape- to their new home across the seas.